BIR Form 1701, also known as Annual Income Tax Return for Self-Employed Individuals, Estates and Trusts is a tax form which summarizes all the transactions made over the tax calendar year. 1. A resident whose operating a business within (or not) in the Philippines. 3. A trustee, guardian of a minor, estate administrator or individuals acting out as an administrator on behalf of a person whose operating a business. 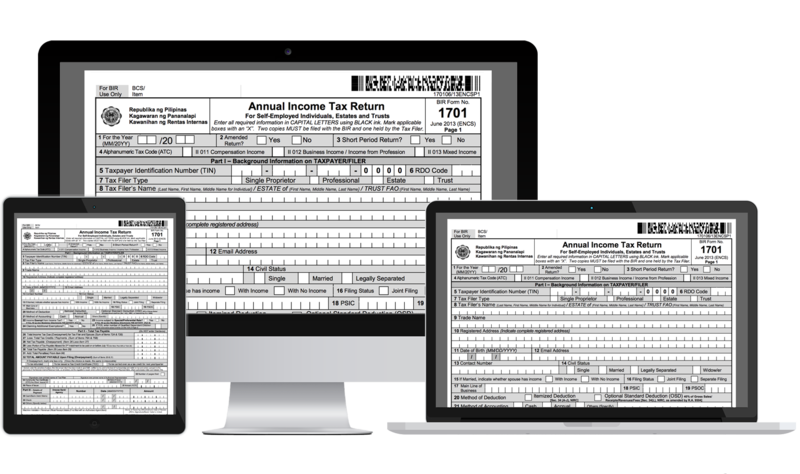 1701 form needs to be filed on or before April 15th annually, and it should cover all those income from the previous tax year.